Biotechnology company Oxetec has applied for permission to carry out a GM insect trial in Spain. The aim of the trial is to reduce an olive tree pest by releasing male flies with a ‘female killing gene’ inserted into them. Providing the GM bugs outbreed the natural bugs the population of the pest would be reduced. This is not the only trial Oxetec is involved in. 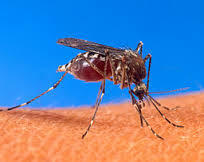 They, along with other companies, have released genetically modified mosquitoes in an attempt to reduce the mosquito population in the country.